After the great success of our first ladies maintenance evenings at our Newport store we are excited to announce we are holding ladies bike maintenance evenings at all of our stores throughout 2017. This is a great opportunity to get hands on demonstrations on everything you need to know about maintaining your bike along with some great deals on the night. Our knowledgeable staff will answer any questions you have so you will leave us feeling confident and ready to get out and ride! Whether you are a beginner or an experienced cyclist this is a great opportunity for you to brush up on the essentials as well as enjoy the food, drink and exclusive discounts. 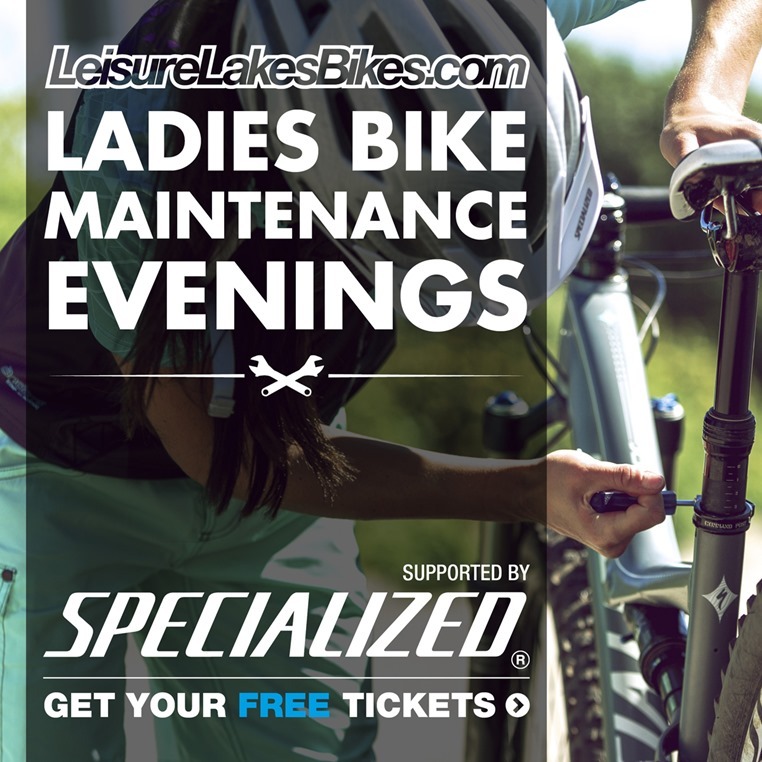 Our ladies maintenance evenings will be supported by Specialized and everyone that attends will be in for some great offers and goodie bags on the night! Looking for something more advanced? Check out our 2017 maintenance evenings where we will cover the next level of maintenance! Your bike - we think this is the best way to get to grips with the maintenance covered on the night as it's all relevant to you! We have limited spaces available for our ladies evening so make sure you get your FREE tickets now before it's too late! Email beth@leisurelakesbikes.com and she will be able to help with any questions you have!